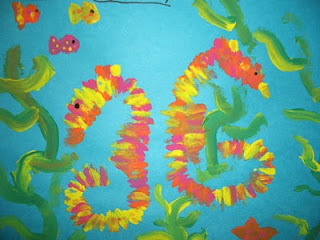 Labels: Painted Seahorses by Grade 3. 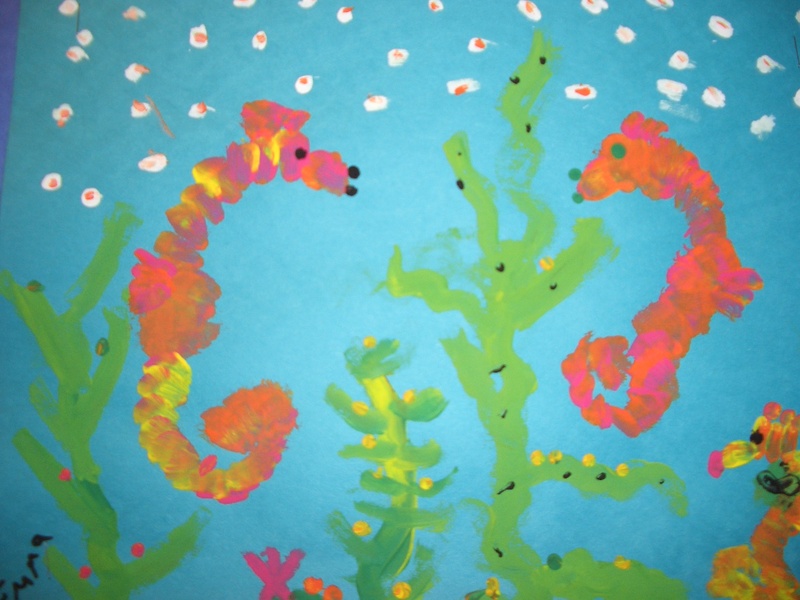 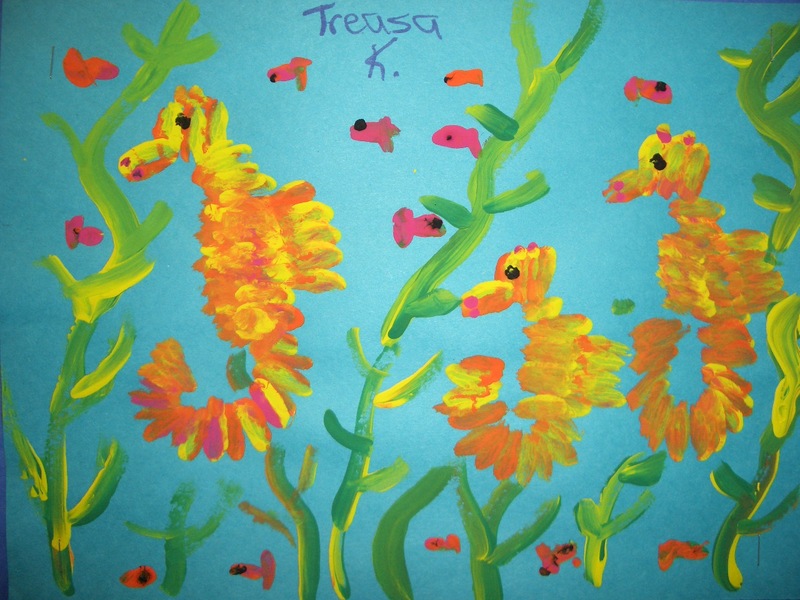 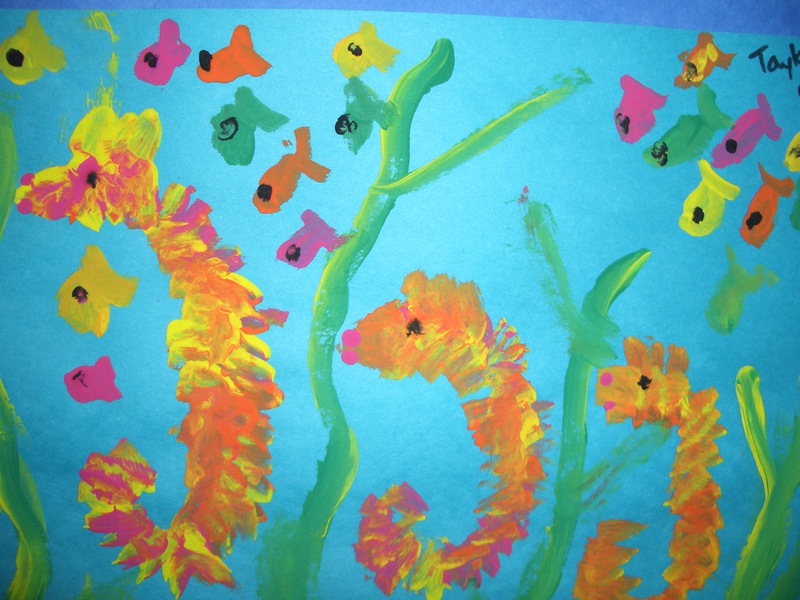 Students learned painting techniques with yellow and orange paint to create these awesome Seahorses. 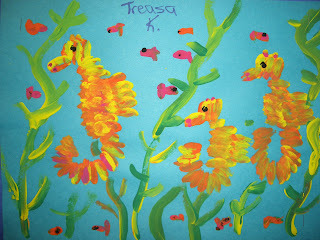 I really like these seahorse paintings. 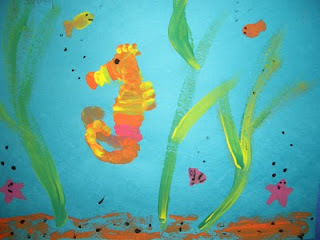 I'm intrigued by the textural appearance of the seahorse. Do you mind sharing how you showed the kids how to paint them? 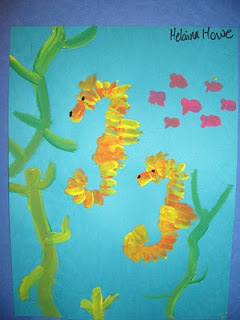 Was it with a brush or did they use their fingerprints? Thanks and I follow your blog!